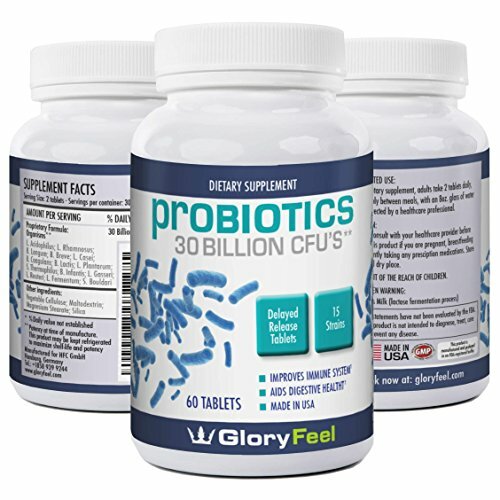 Pro Biotics are living microorganism that reside in your digestive tract. When these microorganism have been depleted through poor diet or illness, stomach problems like excessive bloating and gas, difficulty with bowel movement and even stomach aches can occur. Often eating fermented foods, like sauerkraut and miso soup, which is made from fermented soybean paste can be beneficial. Yogurt, soft cheeses and Kefir which is a pro biotic filled drink are also great sources. Probiotics can not survive exposure to light or air and quickly break down. Some that are sold in liquid form need to be always kept refrigerated and should be sold in dark bottles. To effectively work in your gut, the formula used needs to be a controlled release. This means that the capsules need to be specially coated to effectively store the active, beneficial bacteria until it can be absorbed gradually by your body. Vegetable cellulose, maltodextrin, magnesium sterate, and silica. If you store the pills in the refrigerator, they will store better. It's made in the United States and is manufactured and packaged in an FDA registered facility. I would say the only ingredient that I do not care for is maltodextrin. Maltodextrin is derived from plants, but it's highly processed. Generally, maltodextrin is derived from corn, rice, wheat or potato starch. The starches are cooked and then acids and enzymes are added to break it down further, so it can be used as a filler. According to the National Foundation for Celiac Awareness, the processing that wheat starches undergo in the creation of maltodextrin renders it gluten-free.